What exactly is the “fiscal cliff?” Essentially it’s the big economic question mark that the government will face by the end of the month when the new terms from the Budget Control Act of 2011 kick in. These include temporary payroll tax cuts, certain tax breaks for businesses, the end of the Bush tax cuts for the wealthy, but also the new taxes added on by Obamacare. How will it affect the economy and the wallets of the middle-class? A question that will most likely crop up often in 2013. 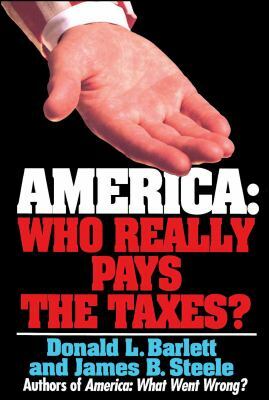 America: Who Really Pays the Taxes? is a disturbing, eye-opening look at a tax system gone out of control. Originally designed to spread the cost of government fairly, our tax code has turned into a gold mine of loopholes and giveaways manipulated by the influential and wealthy for their own benefit. — Middle-income taxpayers pick up a growing share of the nation’s tax bill, while our most profitable corporations pay little or nothing. — Your tax status is effected more by how many lawyers and lobbyists you can afford than by your resources or needs. — Our best-known and most successful companies pay more taxes to foreign governments than to our own. — Cities and states start bidding wars to attract business through tax breaks — taxes made up for by the American taxpayer. America’s political and economic elite spent so long making such terrible decisions that they caused the collapse of 2008. So how can they continue down the same road? The simple answer, that no in charge one wants to publicly acknowledge: because things are still pretty great for the people who run America. It was an accident of history, Jeff Faux explains, that after World War II the U.S. could afford a prosperous middle class, a dominant military, and a booming economic elite at the same time. For the past three decades, all three have been competing, with the middle class always losing. Soon the military will decline as well. Since his last book, Faux is repeatedly asked what either party will do to face these mounting crises. After looking over actual policies, proposed plans, non-partisan reports, and think tank papers, his astonishing conclusion: more of the same. America’s economy and democracy are working for the benefit of an ever-fewer privileged and powerful people. But rather than just complain about it or give up on the system, we must join together and make it work for all of us. In this timely book, Robert B. Reich argues that nothing good happens in Washington unless citizens are energized and organized to make sure Washington acts in the public good. The first step is to see the big picture. 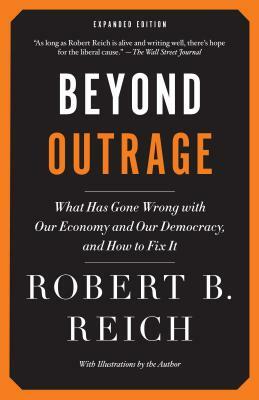 Beyond Outrage connects the dots, showing why the increasing share of income and wealth going to the top has hobbled jobs and growth for everyone else, undermining our democracy; caused Americans to become increasingly cynical about public life; and turned many Americans against one another. He also explains why the proposals of the “regressive right” are dead wrong and provides a clear roadmap of what must be done instead. David Wessel, the Pulitzer-Prize-winning reporter, columnist, and bestselling author of In Fed We Trust, dissects the federal budget: a topic that is fiercely debated today in the halls of Congress and the media, and yet is misunderstood by the American public. In a sweeping narrative about the people and the politics behind the budget, Wessel looks at the 2011 fiscal year (which ended September 30) to see where all the money was actually spent, and why the budget process has grown wildly out of control. Through the eyes of key people–Jacob Lew, White House director of the Office of Management and Budget; Douglas Elmendorf, director of the Congressional Budget Office; Blackstone founder and former Commerce Secretary Pete Peterson; and more–Wessel gives readers an inside look at the making of our unsustainable budget.